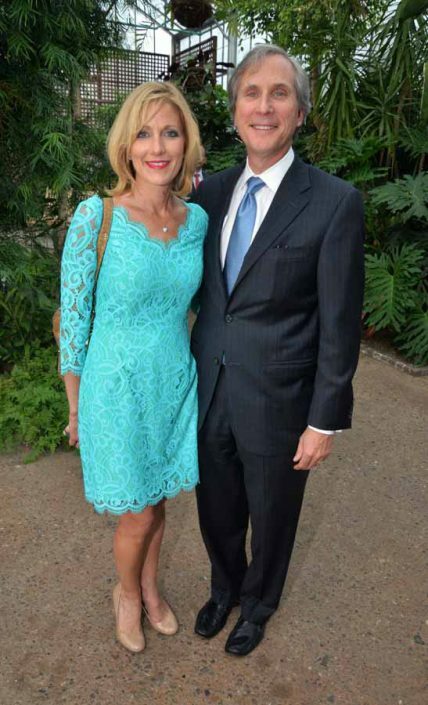 Chris Matthews emceed as a record number of guests celebrated protecting nature and parks. 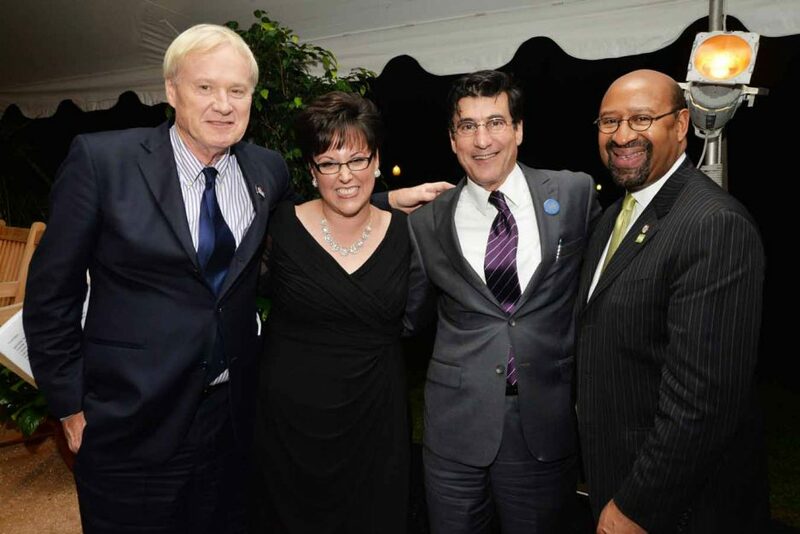 By HughE Dillon·	 5/5/2014, 12:28 p.m.
From left: Chris Matthews, MSNBC, Kathryn Ott Lovell, Michael DiBerardinis, Deputy Mayor of the Department of Parks and Recreation, and Mayor Michael Nutter. 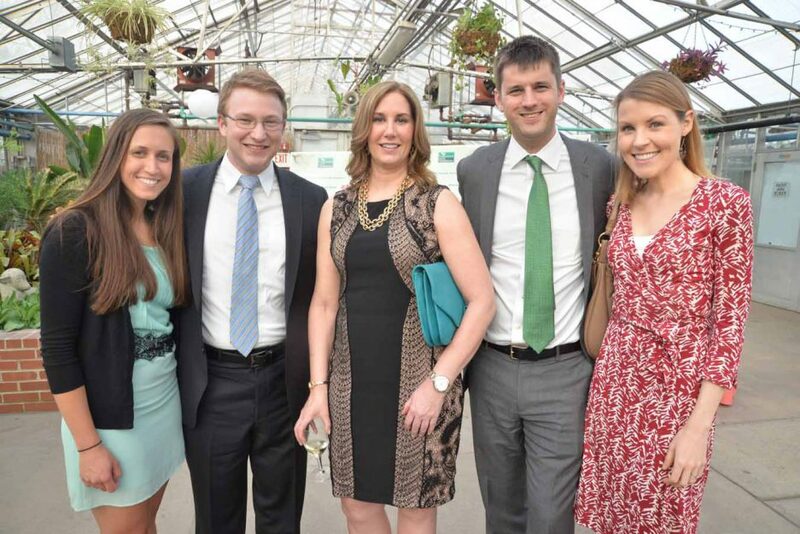 Thursday night at the Horticultural Center, the Fairmount Park Conservancy hosted its 7th Annual Centennial Celebration, and it attracted a record number of guests (475) as well as raising 45% more money than last year. 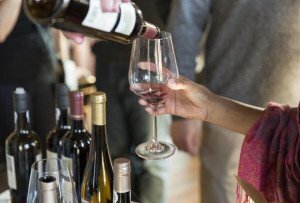 There was a lively cocktail hour in the greenhouse, where we all enjoyed bright sunshine after 48 hours of record-breaking rain. 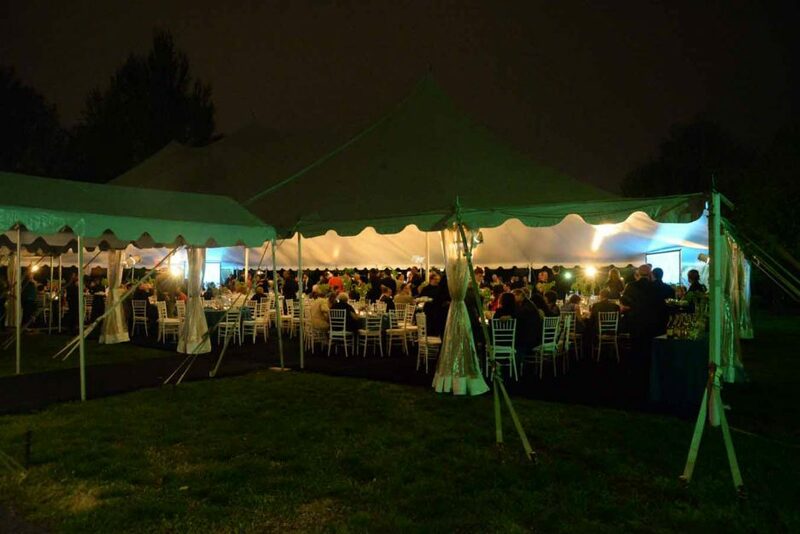 Then everyone was ushered into a large tent to begin the dinner and a program. 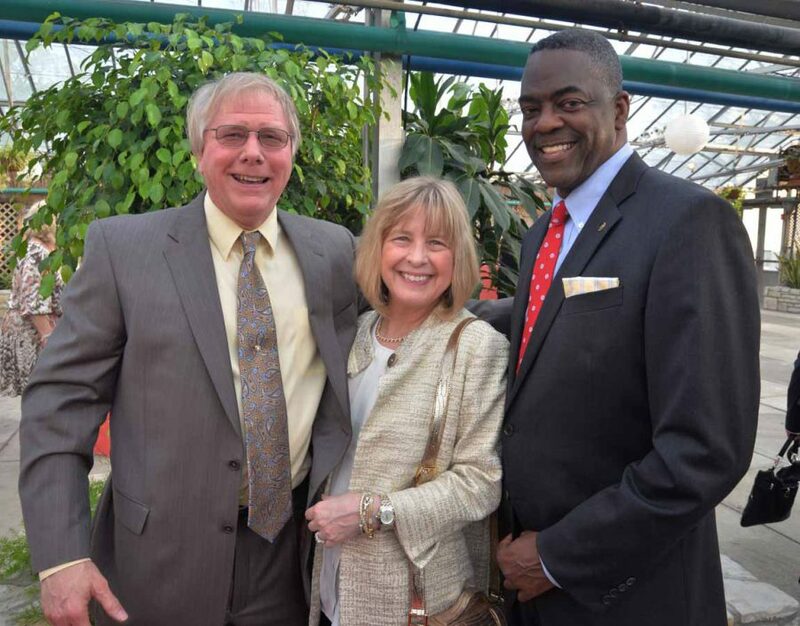 The Conservancy honored three people this year including the President & CEO of Brandywine Realty Trust, Gerald Sweeney, City Council President Darrell Clarke, and Patricia Kind who was named John K. Binswanger Park Champion. Mrs. Kind wasn’t in attendance so her oldest daughter, Laura Kind McKenna, accepted on her behalf. The emcee for the evening was MSNBC’s Chris Matthews, who grew up in nearby Hunting Park and recalled childhood memories of playing in the park. 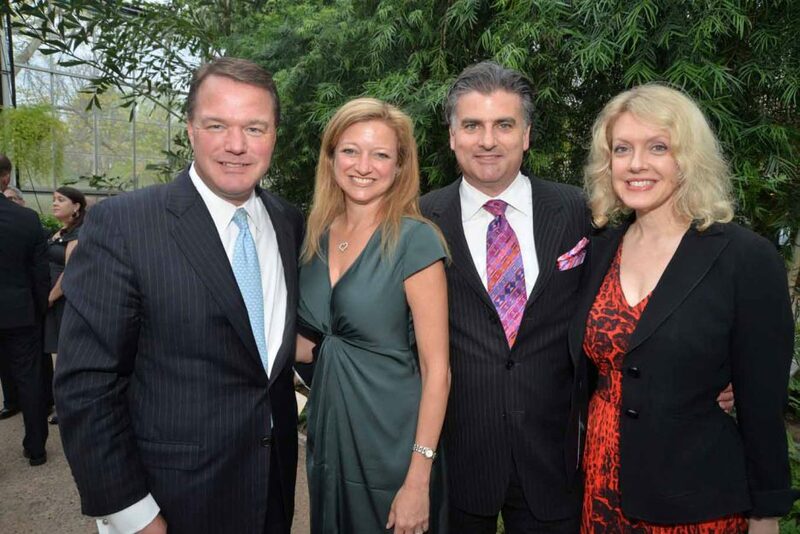 From left: Carl Buchholz, partner at DLA Piper, Karen Dougherty Buchholz, senior vice president of administration for Comcast, John Gattuso, president of the Fairmount Park Conservancy, and Meghan L. McDermott, partner at Robert A.M. Stern Architects. Rev. Dr. Lorina Marshall-Blake, vice president of government relations for Independence Blue Cross, and William Sasson, Stradley Ronon. 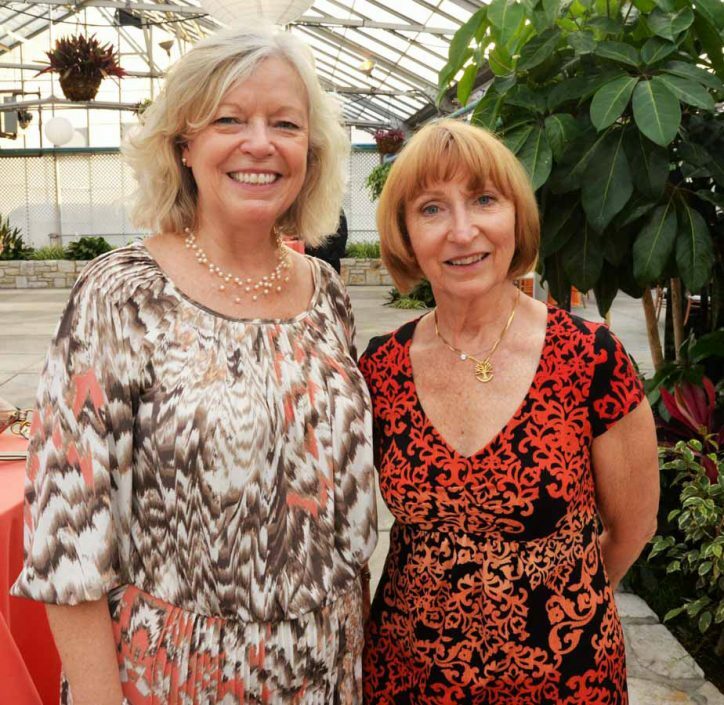 From left: Cathy Ward and Dianne Semingson. 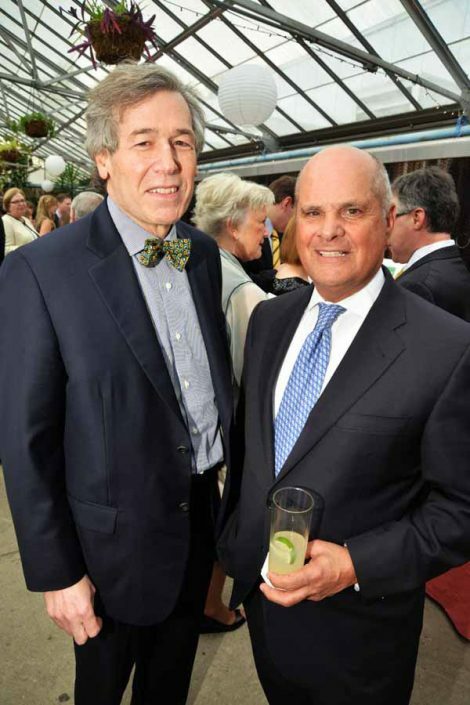 From left: David Seltzer and Charles Pizzi. 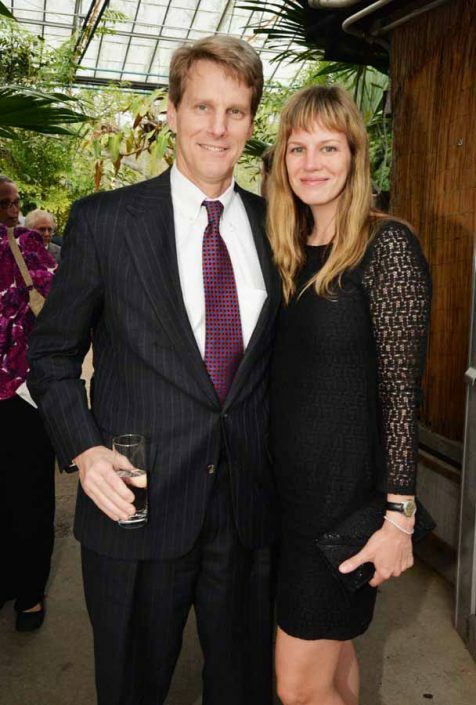 JB Kelly, Conservancy board member, and Alexandra Golaszewska. Emcee Chris Matthews talked about growing up in Hunting Park, going to Boy Scout Camporees in Fairmount Park, and meeting Jack Kelly, JB’s dad. 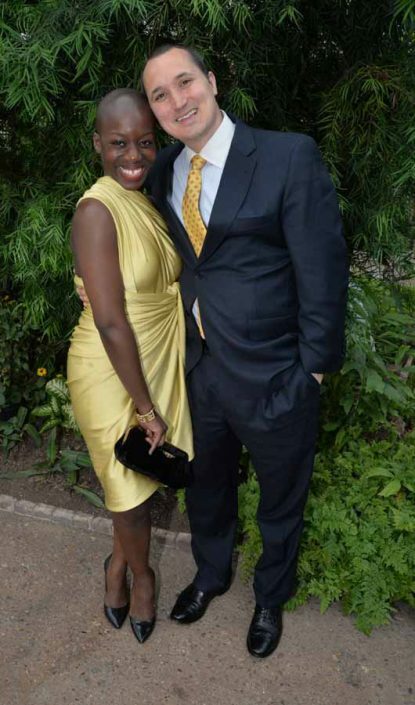 Abena Bempah and Ryan Kellermeyer, celebrating their recent engagement. They met through their mutual charity work. Jackie and Gerald Sweeney. 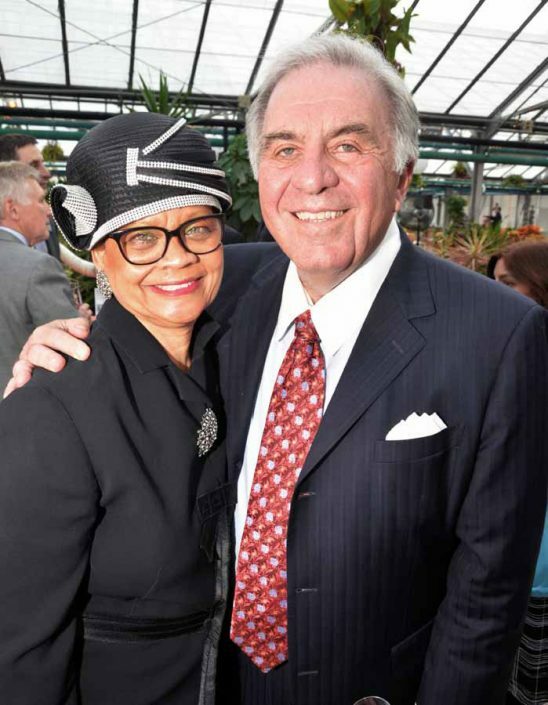 Gerry was honored for his corporate leadership regarding the Conservancy. He told the guests that it was the duty of citizens, corporations, and government to protect and nurture parks and nature. 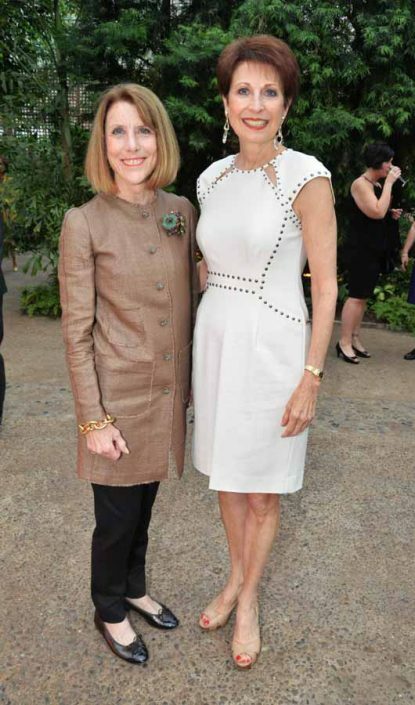 From left: Betsy Barber, assistant Temple University dean and Sally Mifflin. From left: Craig Adams, CEO of PECO, April Adams, and Randy Brock, Wells Fargo. 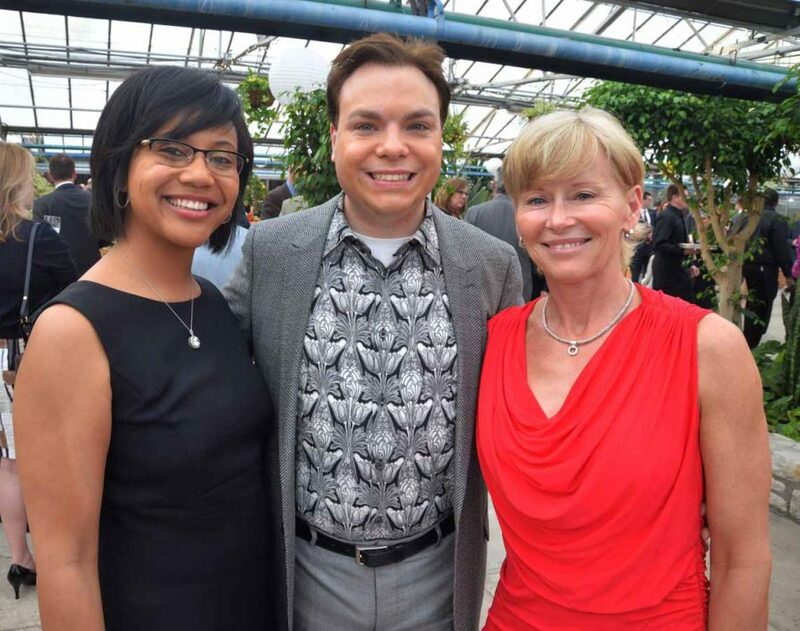 From left: Mika Harding, Gregory Seitter, and Melissa Brondeau. From left: Kristen Degenhart, Hugh McStravick, Eden Kratchman, Justin Lamb and Katherine Paul. 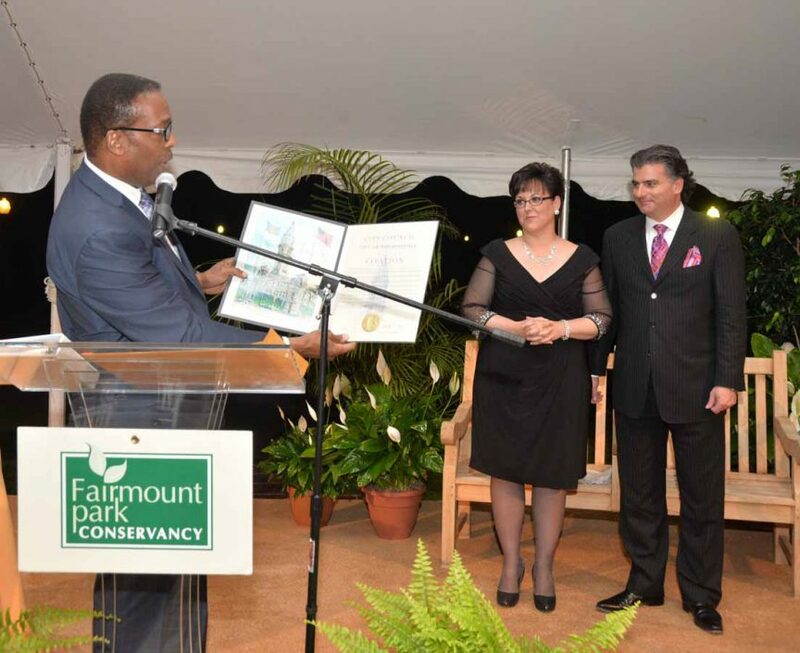 City Council President Darrell Clarke reads the City Proclamation in honor of the gala, as executive director Kathryn Ott Lovell and board president John Gattuso look on. Clarke was honored for his civic leadership in regard to Hunting Park, and as a conservator of many of the parks in the City. Two of the honorees will have benches dedicated in their honor in the park. 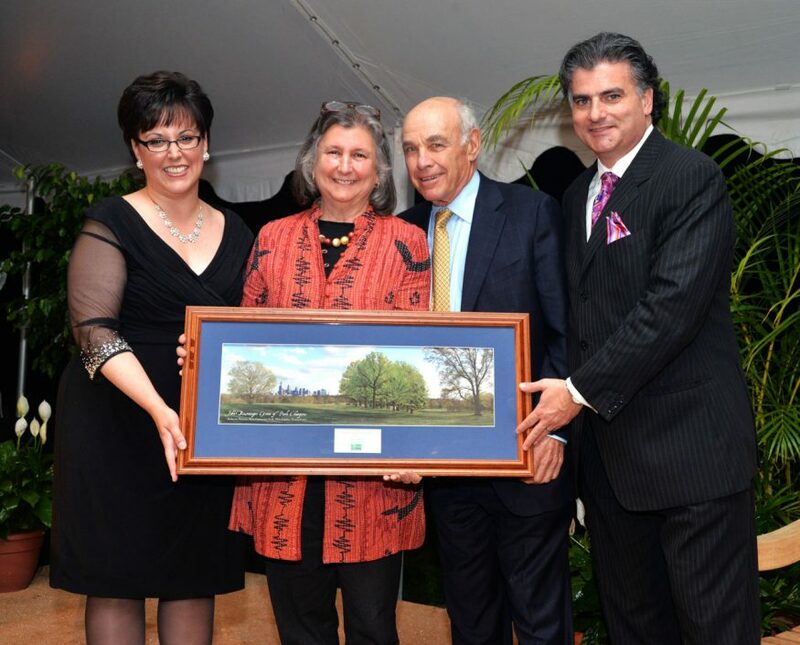 The John K. Binswanger Park Champion, was awarded to Patricia Kind, and accepted by her daughter Laura McKenna. A grove of trees will be planted in her honor. From left: Kathryn Ott Lovell, executive director, Laura Kind McKenna, John Binswanger, and John Gattuso. Kathryn Ott Lovell spoke about the wonderful things the Conservacy did this year: Plant 12,000 trees, create safe havens for kids, complete the Team Vick Football Field and launch The Oval. This year they have a new surprise for The Oval, will be creating a family fun place at Love Park, are working on West Fairmount Park, and recently welcomed Wissahickon East into the Fairmount Park family.